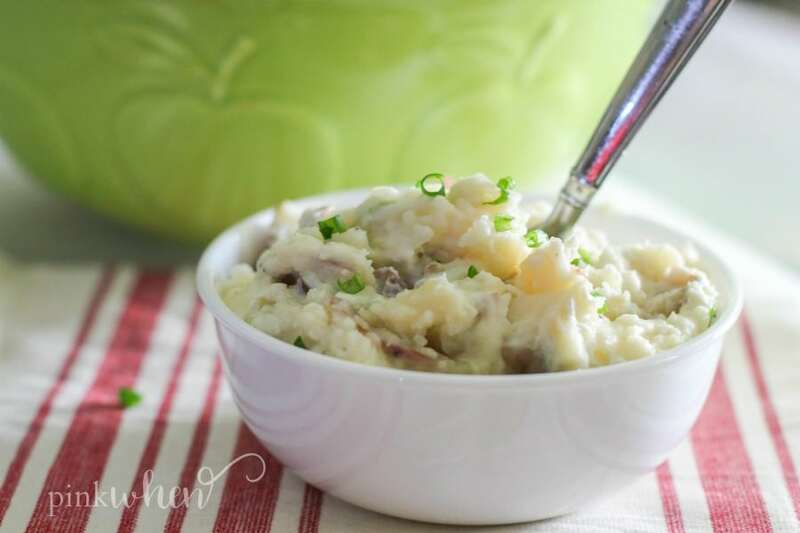 I love homemade mashed potatoes, and these are seriously good! We use red potatoes in this recipe and I think they truly turn out amazing. 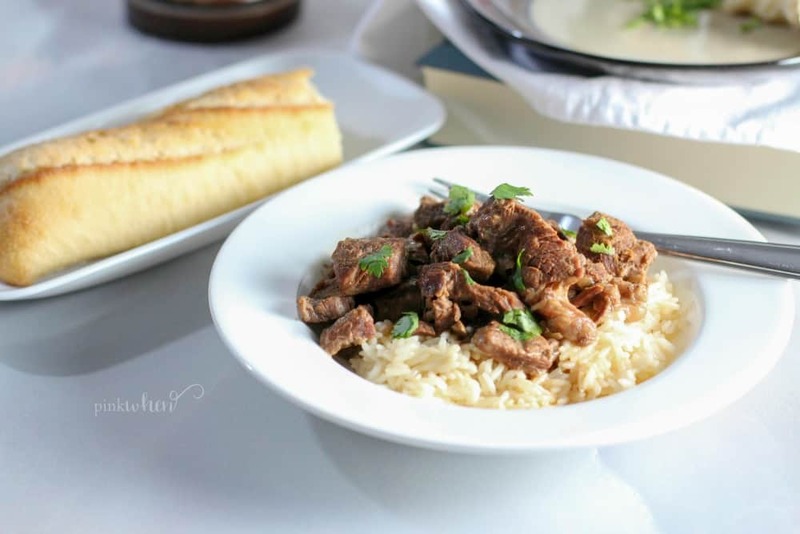 Not only that, but the Instant Pot makes this recipe super easy. 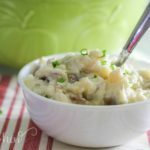 These Instant Pot Mashed Potatoes are really the best. I have read where others don’t recommend using red potatoes but these are perfect. The texture and flavor of these potatoes are so good, you won’t be able to stop from having seconds. I am such a huge fan of homemade mashed potatoes over the store bought kind. 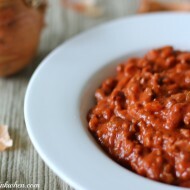 You know what you are getting and can feel confidant when serving these to your family. 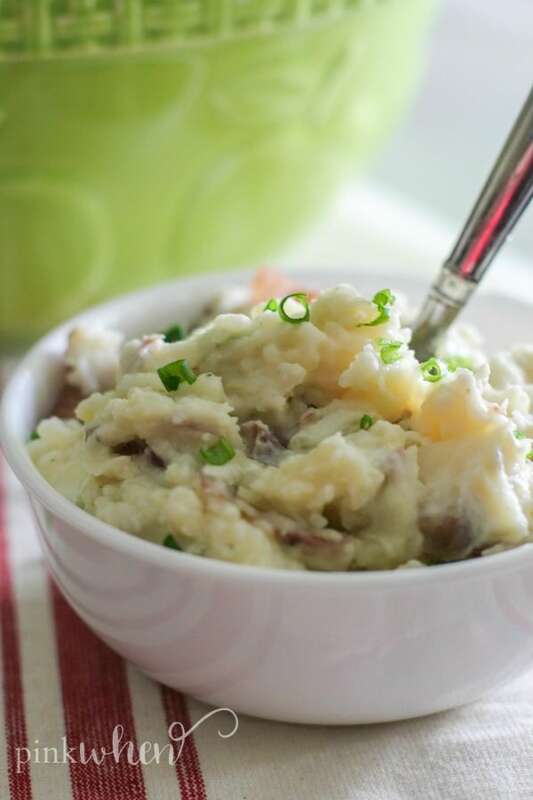 This mashed red potatoes recipe is truly one of the easiest recipes there is, so don’t worry about the little bit of time it takes to make them. Making these mashed potatoes is truly easy. You don’t even have to peel the potatoes and they cook really fast. (See below for my video on how to make these easy Instant Pot Mashed Potatoes.) It’s truly the best mashed potatoes recipe we’ve had. Not only that, but these mashed potatoes can be made WAY before the rest of the meal is made. Talk about making things easy during the holidays! I love making most of my dishes the day before, and this one is no exception. Take the uncooked red potatoes and place them into the Instant Pot. Cover with water. Place the lid securely into place, set the valve to “seal” and then put the Instant Pot on manual for 8 minutes. When the cooking time is finished, allow the Instant Pot to naturally release pressure for 10 minutes before moving the valve t0 “vent”. I always cover mine with a hand towel just in case any thing decided to spurt out of the lid. Once the pressure has been released, remove the inner pot and drain the excess water. 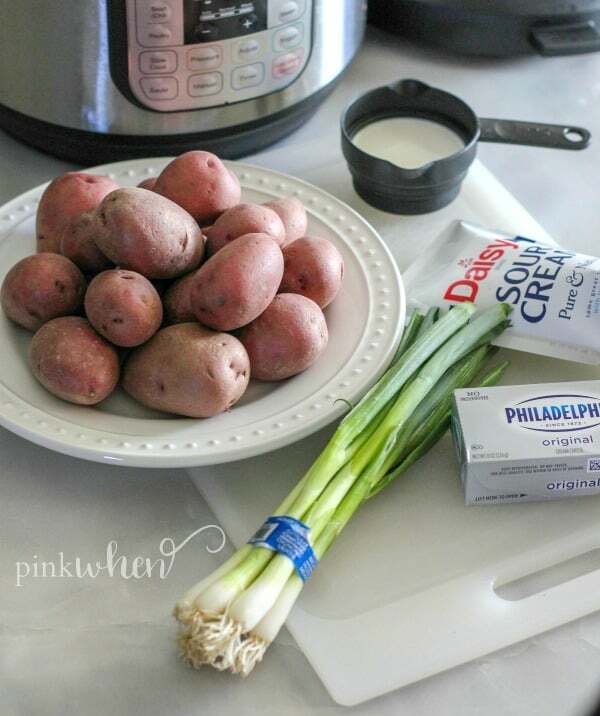 Place the potatoes into a bowl and add cream cheese, butter, milk, sour cream, and salt and pepper. Mash the potatoes really well and mix everything up good. Add in the chopped green onion and mix again. Here is the best part. 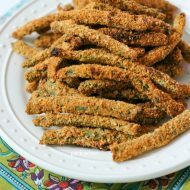 Either serve immediately while warm, or store them in the fridge and serve them later. The longer these potatoes sit in the fridge the better the flavors are going to be. Check out the video below. In fact, these potatoes would be SO GOOD when serving these awesome Instant Pot Beef Tips over them. 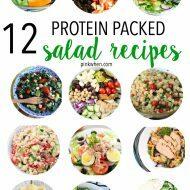 Just skip the rice! 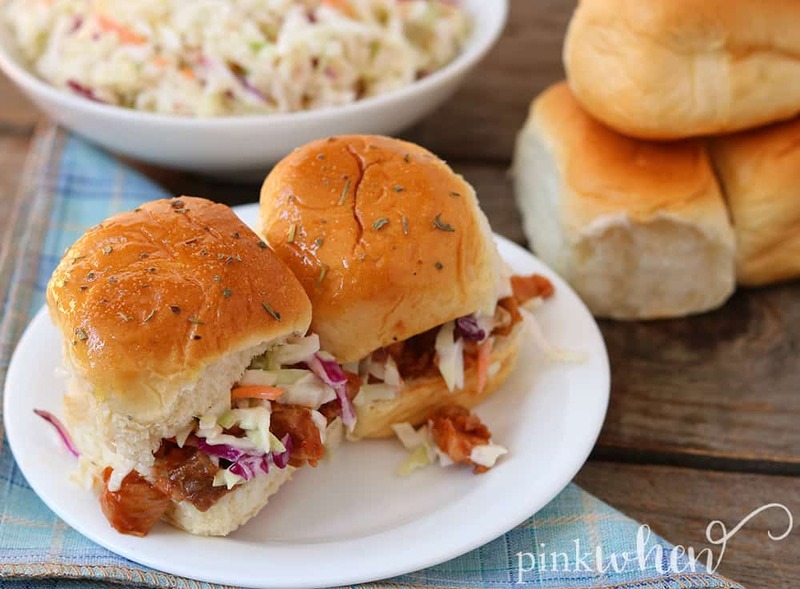 If you are looking for more recipes to make with the Instant Pot, check out this easy Instant Pot BBQ Pork Recipe. Looking for the best mashed potatoes recipe? 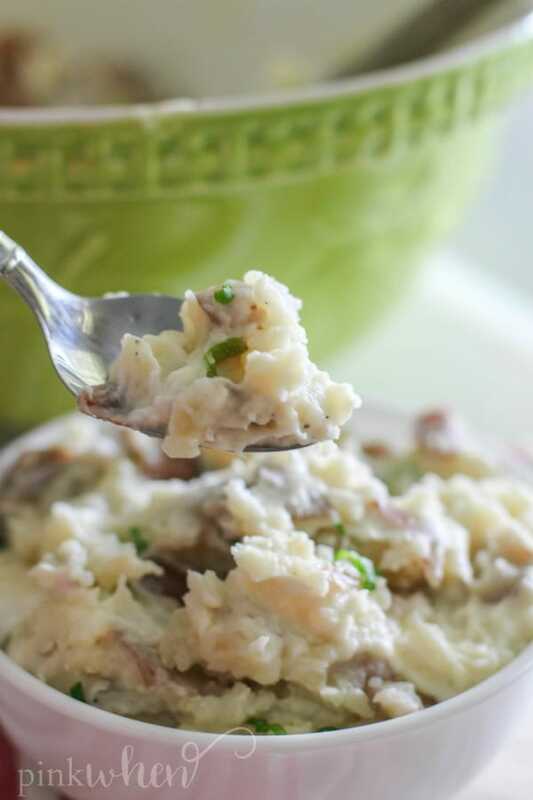 Check out this easy and quick Instant Pot Mashed Potatoes recipe. Take the uncooked red potatoes and place them into the Instant Pot. Cover with 2 cups of water, or more if needed. Place the lid securely into place, set the valve to "seal" and then put the Instant Pot on manual for 8 minutes. When the cooking time is finished, allow the Instant Pot to naturally release pressure for 10 minutes before moving the valve t0 "vent". I always cover mine with a hand towel just in case any thing decided to spurt out of the lid. Serve immediately or save them for later.